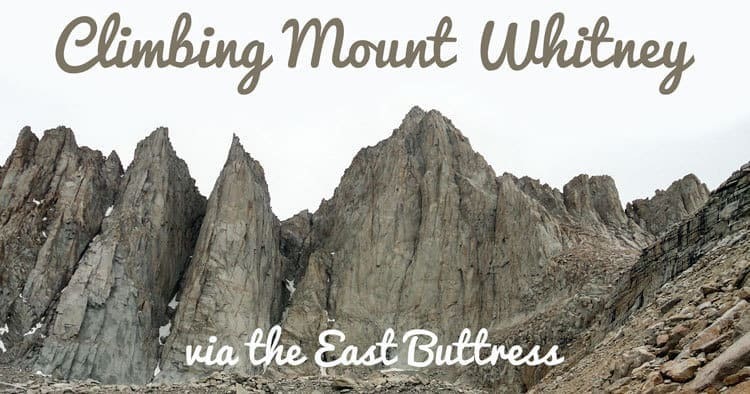 Mount Whitney is the highest peak in the continental United States, and the East Buttress route is considered an absolute classic. 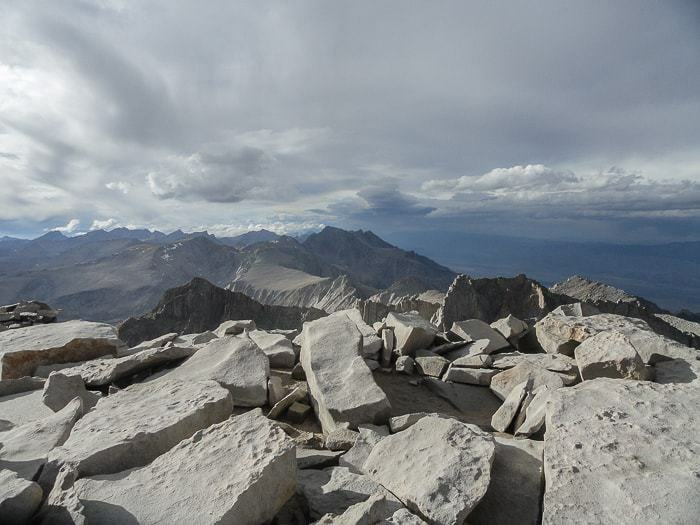 When the opportunity presented itself for unexpectedly climbing Mount Whitney, I couldn’t resist. While I was hanging out in Lone Pine, California, I met up with an old DC climbing buddy, Ryder, who was just making the move to San Francisco. Like, just arrived the week before and then set out to meet up with me for a weekend adventure in the High Sierras. Pretty awesome to get right out there after it! 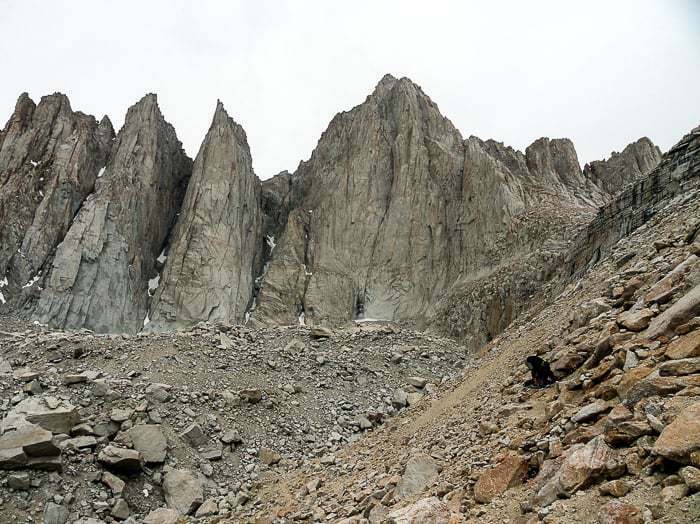 Ryder had his eyes set on Whitney’s classic East Buttress. Looking back at Whitney on the hike out. 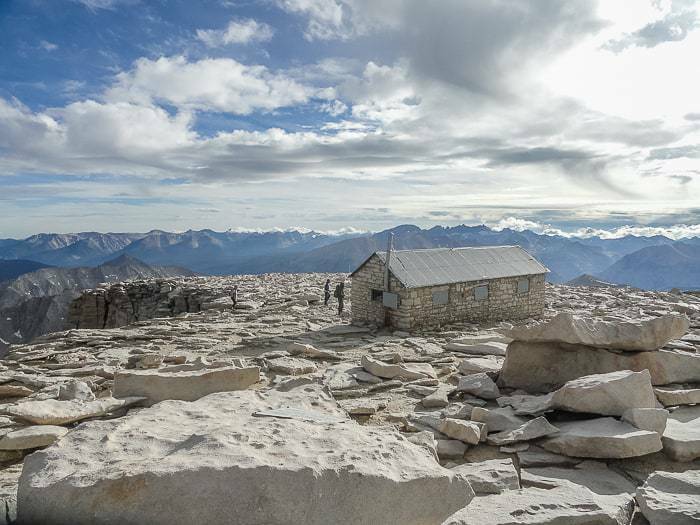 I popped into the Eastern Sierra Interagency Visitor the day before our planned hike in. They distribute last minute permits for the North Fork of Lone Pine Creek at 11am, I came in a little earlier, hoping it might help my chances, but that doesn’t matter. They take one person from each group and then draw numbers out of a bucket (including those who have reservations, not just walk ins). The number dictates the order of the line. There were four walk-in spots for the North Fork, I was told. I drew #6 from the hat… Dang, thought that my chances were done for. Luckily, none of the groups that went ahead of me were looking for North Fork permits, I guess. They still had all four spots available when I got to the desk. SCORE! In any case, I later went and picked Ryder up from the bus station, we got geared up, and set out for Whitney the next morning. Ryder did an AMAZING job putting together the video above, definitely check it out, it tells the story of the climb and shows the scenery far better than I could in written form. I will just say that the East Buttress was an amazing climb, I’m glad I got the chance to tag along. This climb was most definitely his in terms of planning, logistics, leading, and so forth. 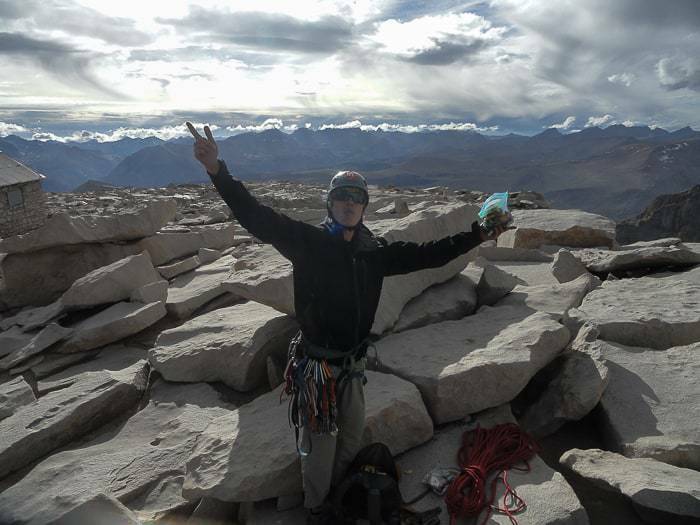 Be sure to check out Ryder’s page at Itinerant Climber’s Collective. 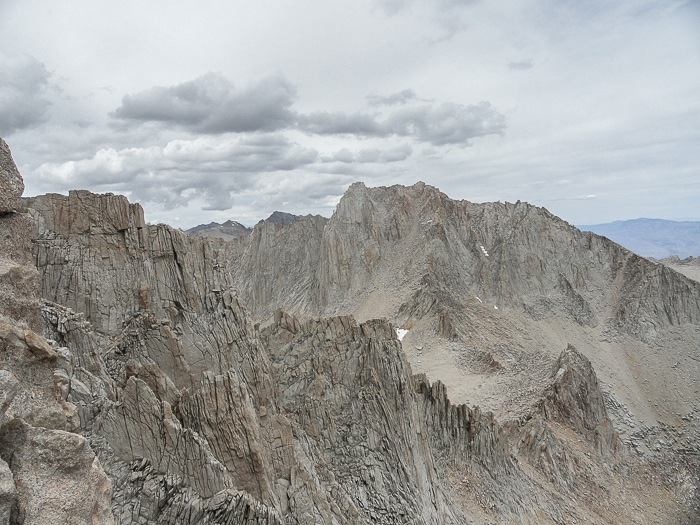 And I’ll just add that it was pretty cool to stand on top of Whitney for the first time by having gone up the East Buttress instead of the Mountaineer’s Route or Whitney Trail. 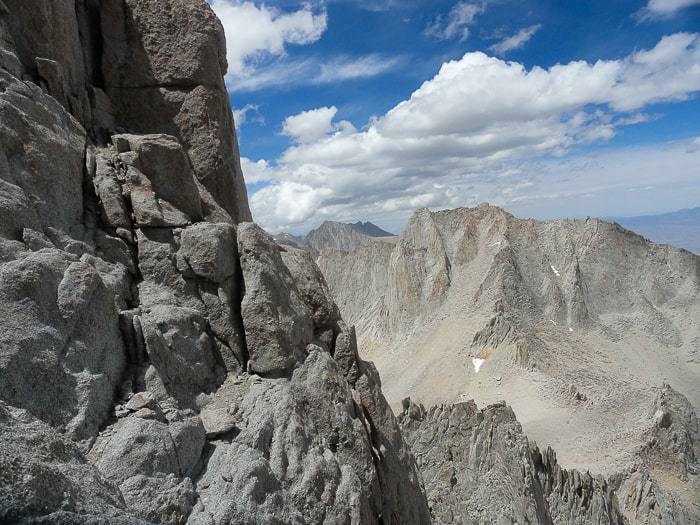 A worthy and classic route on the highest peak in the Lower 48. 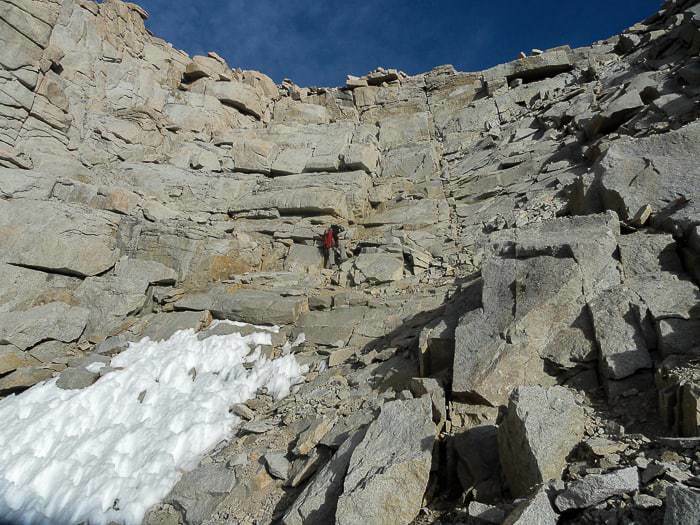 For those who might find it helpful, here’s some details on how long various sections took us (during a June 22-24, 2013 climb). It took us six hours to reach Iceberg Lake. Longer than it should have due to getting “lost” on the wrong side of the stream between Lower and Upper Boyscout Lake and then having to bushwhack through the brush. Stay below the large rock outcropping on the hike up the scree field. But otherwise it took us three hours to Lower Boyscout, and another two hours to Upper Boyscout. We got up at 5am and set out by 6:30am. We had scrambled up to the base of the route by 8am. The first pitch of the East Buttress Direct was the crux of the whole climb. 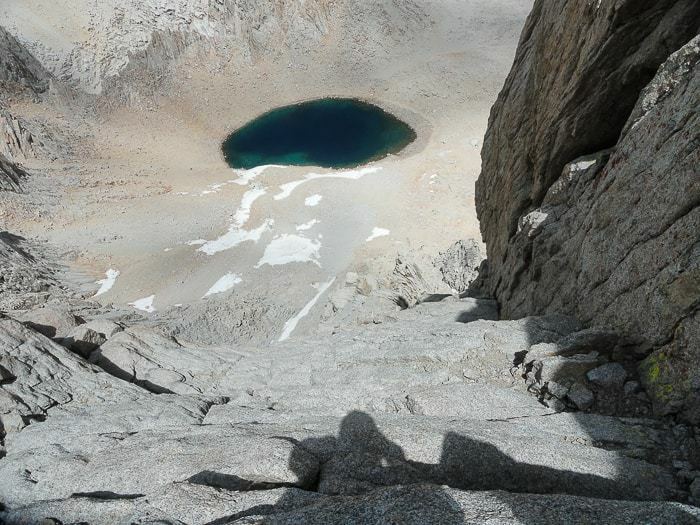 There were a lot of pitches, and I don’t have many time landmarks, except the Peewee at roughly 4:30pm, and then finally reaching the summit at 6pm. Nearly 12 hours on the go. We hung out on the summit for a half an hour and set out at 6:30pm. It took us another 2.5 hours to descend the chossy, sketchy Mountaineer’s Route… Doing the last section in the waning light by headlamp. Roughly 15 hours on the go from camp to camp. Dinner was so good that night. We spent a second night at Iceberg Lake. There was virtually no snow the entire way. I think I made a few steps in a patch of snow while descending the Mountaineer’s Route. This was from June 22-24, 2013, and was a pretty low snow year, from my understanding. We used Ryder’s half ropes, each brought Jetboils, and shared my MLD TrailStar for shelter. 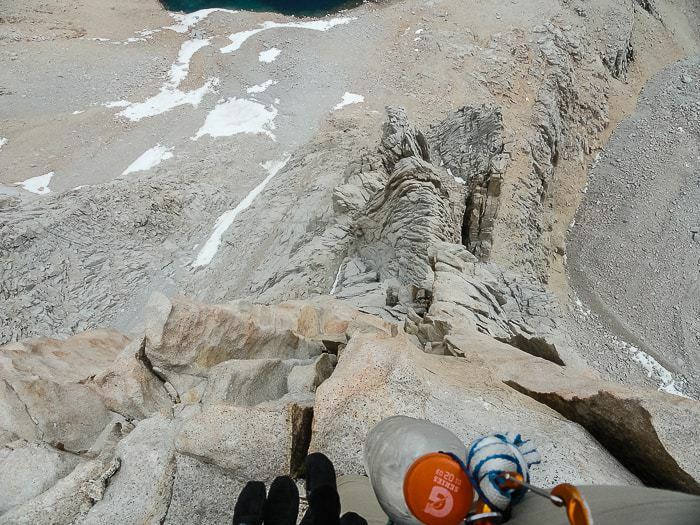 Nothing exceptional to note gear wise, except that my La Sportiva Trango S EVO GTX (the red boots) ripped up the backs of my heels pretty bad, which was the first time I’ve got blisters in a long time. I’ve worn those boots before without a problem, so I’m not sure what changed, but it had been almost a year since I’d worn them. My SteriPen batteries also died, which was annoying and my fault for not bringing spares… I just wish they had some sort of battery life indicator on it! Version 2.0? Check out Ryder’s write up of this trip. 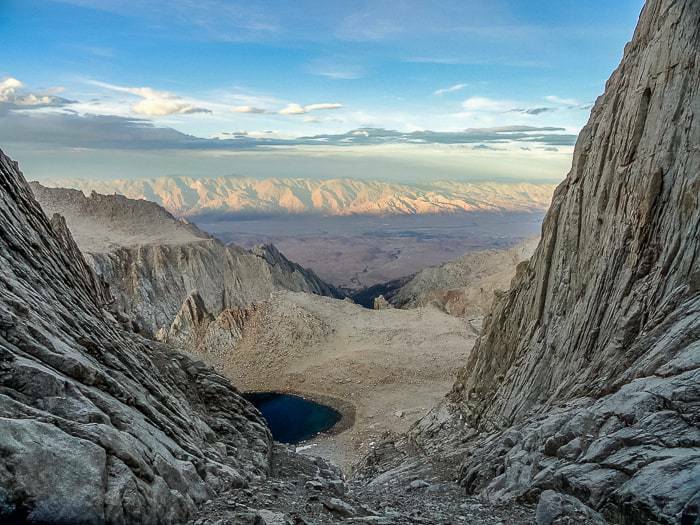 Traveling to Lone Pine before or after your climb? Book the perfect room on Booking.com today! I enjoyed your writeup and Ryder’s video. Congrats and much respect for completing this challenging route. Great write up. 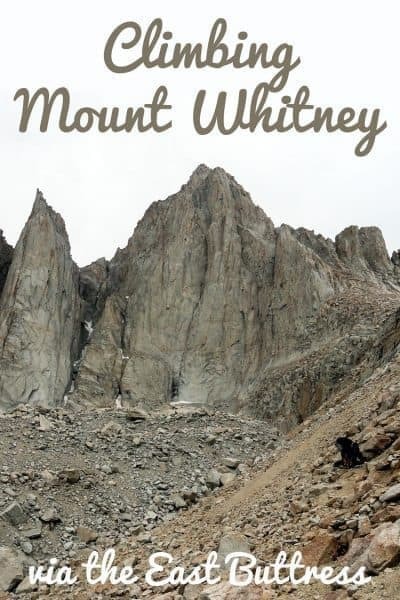 I’m really hoping to hit Whitney sometime next season and I’ll definitely refer to this before I go. Looks like a really fun way to get to the top.